Gott's Landscaping and Supplies is located in New Iberia, La. This is one of the many towns that make up "Cajun Country". My love for plants came from working as a kid, alongside my dad in my grandpa's citrus nursery. It was during this time, I realized that I wanted a career in the plant industry. I graduated college with a Horticulture degree and opened my landscape company in 1991. 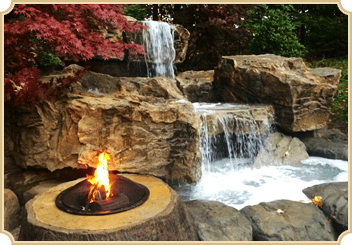 We specialize in landscaping, landscape lighting, waterfalls, outdoor kitchens, fountains, landscape decor, and bulk landscape materials. If it's watering your lawn or flower beds you're after, we can install a programmable underground sprinkler system to suit any of your needs. We also provide professional grade landscape lighting that will give your landscape a whole new look, and will give you a nighttime atmosphere of what you enjoy during the day. 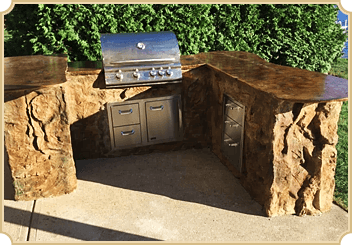 We can also customize you an outdoor kitchen, so you can cook in the outdoors, while listening to the sound of falling water from one of our custom built waterfalls. Since I have opened my landscape company, I have met many people that enjoy tackling their landscape projects themselves. Being an experienced landscaper, I knew I could help them find quality products and materials, so they could get the job done right the first time. So, in 2005 I opened Gott's Landscaping & Supplies. We have one of the largest selection of palm trees in Acadiana. Although we specialize in palms, we also have a large selection of trees, shrubs, and specialty plants to choose from. 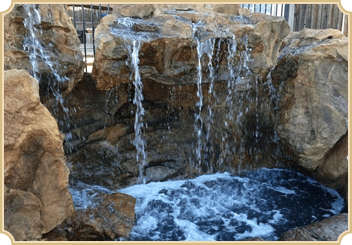 Along with natural stone, boulders, rocks, and gravels, we offer a great selection of glazed pottery and stained concrete fountains too. We also stock bulk premium blended soils, premium mulches, topsoil and sand. We are always adding to our large inventory, and are constantly striving to keep up with the latest plants and materials. Be sure to check out our continuing updates and pictures of our jobs, plants, and materials. Thank you for stopping by our site, and we hope to see you soon.